The University of North Carolina has obtained arrest warrants for two people accused of defacing a monument to people of color at the state university’s flagship campus over the weekend. According to the Associated Press, which spoke to UNC spokesman Randy Young, no arrests had been made as of Tuesday morning. The warrants were issued late Monday night; UNC police have yet to disclose names of the people involved, but misdemeanor property damage appears to be the charge. 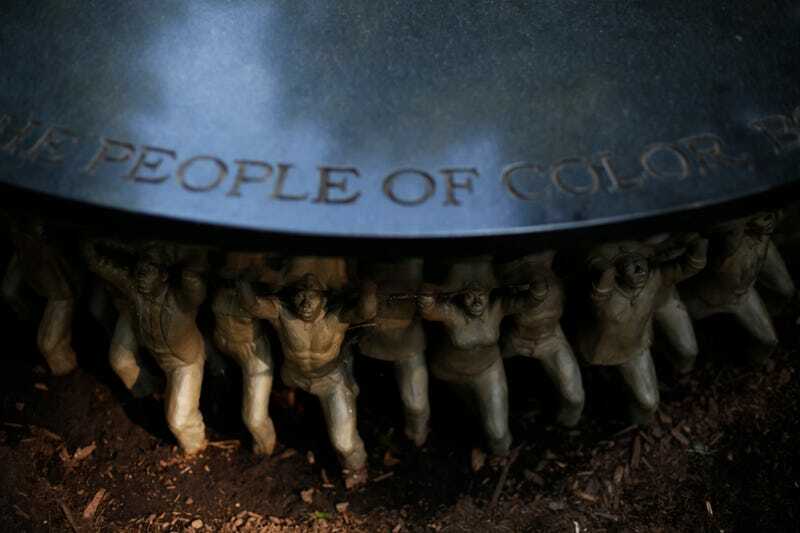 The Unsung Founders Memorial, dedicated to “people of color bound and free” who helped build the UNC Chapel Hill campus, was vandalized with “racist language” Sunday morning, according to Interim UNC Chancellor Kevin Guskiewicz. The New York Times reports vandals defaced the memorial with urine; racial slurs and other hateful language were written in permanent marker, according to university police. Another site—an art installation—was also vandalized. In his message to the UNC community Sunday evening, Guskiewicz said at least one of the vandals was “affiliated with Heirs to the Confederacy,” a neo-Confederate group that has staged prayer demonstrations at UNC’s Confederate “Silent Sam” monument. “Silent Sam” was toppled last year during a student-organized demonstration against the 105-year-old statue, a move that roiled some members of UNC Chapel Hill campus community. Earlier this year, out-going UNC Chancellor Carol Folt announced the university had removed the last vestiges of the Confederate memorial from its campus.